Your birthday is a day to feel rewarded and special. From presents to well wishes, your birthday should come with the works. And that includes getting all the freebies retailers and food vendors have to offer! Luckily for you, Wikibuy has put together an early present you don't even have to unwrap: a list of all the places to get your free birthday swag. If you have to go to work on your birthday, a free coffee or bagel may make you feel better. Places like Starbucks, Waffle House, and Krispy Kreme are on point when it comes to free birthday stuff. Maybe lunch or dinner is more your style? Check out places Red Robin, Sbarro, and Ruby Tuesday, which all offer free entrees. You can also get a free dessert at restaurants like Olive Garden and Cheesecake Factory — talk about having your cake and eating it, too! Or maybe you want to indulge in some retail therapy — luckily, many retail stores offer deals and coupons just for your special day! 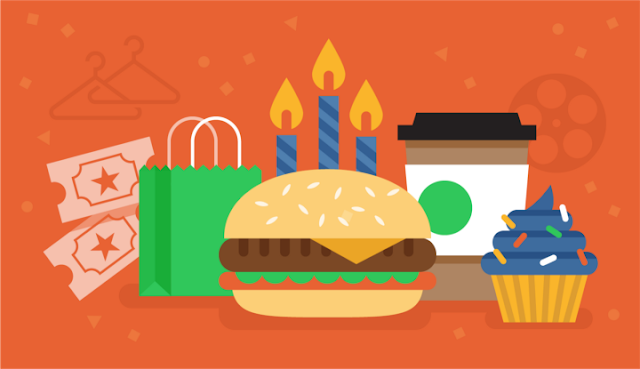 To learn about all the fun deals you can get on your birthday, take a look at Wikibuy's big list of birthday freebies. You'll find a way to enjoy a totally free day! That's something to celebrate.